In the era of portable devices such as smartphones, mp3 players, and iPods, everything you need to enjoy the full feel of the music you love whenever you want, and wherever you are, is a good set of audiophile headphones. Thankfully, there is a variety on the market you can choose from. Moreover, you might be overwhelmed by choice. First of all, you will have to decide what type best fits your needs. There are three main types you can choose from, the wireless headphones that offer absolute freedom of movement, over-ear audiophile headphones, and in-ear ones, known as ear buds. All are equally capable of producing excellent sound, and you can choose according to your personal taste and requirements. We have reviewed all three types. So, sit back and enjoy our review of top 5 in every category- you will certainly be able to find the best audiophile headphones for you. The Grado Professional Series PS500e headphones offer impressive sound at the affordable price and are designed well to the smallest detail. 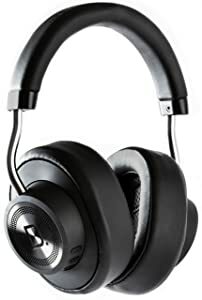 Furthermore, these headphones are not massive and are quite comfortable to wear, especially for an on-ear model; they have felt like an extension of our body even after hours of wearing. The newly redesigned 44mm speakers offer a perfect sound for all us music lovers. They handle all the tones well; the lows just as well as the mids and highs. In short, they provide the full-bodied sound. We were very pleased, especially for the price; they inspired us to listen to more music and reproduced the tonality, vibrancy, dynamics and timbre of all the instruments and people making the beautiful music. 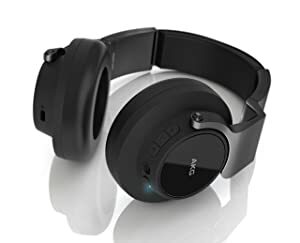 Do mind though, that these are not a good choice in situations when you want to isolate the sound as they are very openly designed and people around you can hear what you are listening. 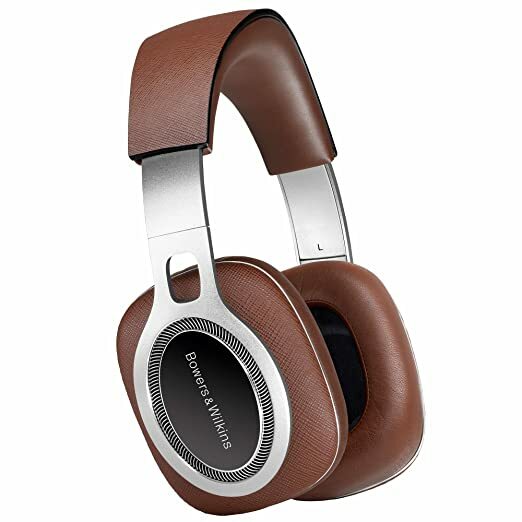 The Bowers & Wilkins P9 Premium were designed to honor the anniversary of the company and are very luxurious. Although there are plastic parts in their design, they are mostly done in aluminum and leather. On the downside, the lavish design has brought some drawbacks such as the higher weight of the unit. For this reason, they feel a bit heavy on ears, which might be an issue if you use them for a long time. We have discovered new details in songs we have listened to hundreds of times before and are not disappointed to have paid a pretty high price. If you are searching for the headphones with a perfectly astonishing level of detailing, separation, and balance, then you should not be either. Separation in sound is remarkable, and it is rich in bass. The mids are pure and crisp, and the highs are over the top. For semi-open headphones, these are the top notch. 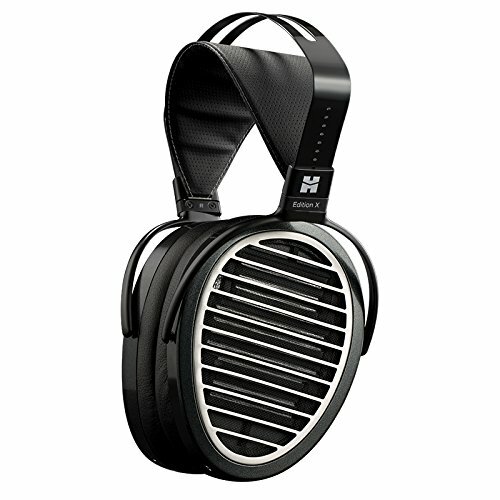 The HIFIMAN Edition X V2 Planar Magnetic Headphones are quite unique. They are ultra-thin and sit well on the head, and the velour used as a material makes them reasonably comfortable. They weigh around 14 ounces and do not feel heavy. 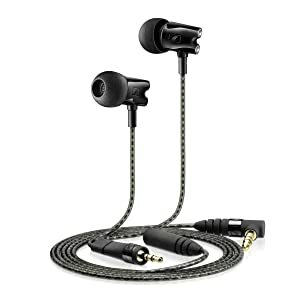 The package includes the High-Performance Cable with connectors and you can enjoy the music on various devices. The price is rather high, and many would think that that is unjustified for the headphones that are made in China. On the other hand, the quality is undeniable, and the HIFIMAN has a long tradition to vouch for it. The sound is just spectacular, very prolonged, superbly articulated with detailed highs and a strong sense of presence. The bass is full, tight and deep depending on the song but never overwhelming. 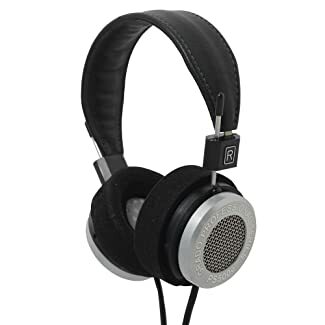 If you are looking for the best audiophile headphones, and you do not mind spending the extra money, you might try these; we believe you will not be disappointed. 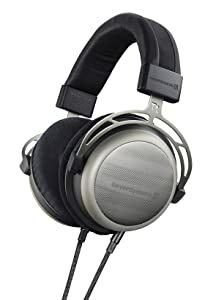 Beyerdynamic T1 Audiophile Stereo Headphones are semi-open and weigh around 12 ounces; they are comfortable to wear. Beyerdynamic has a long tradition, and the five-year warranty they offer just adds to the feeling of security when buying these expensive headphones. They are elegant, and feature fine details. A subtle metallic grill covers the open ear cup, velour ear cushions are soft and airy and transport warmth and moisture away from the head. Everything about them screams hand-made quality. The package includes the luxurious hard case; and textile-covered, three-meter-long, copper connection cable with a jack plug. This is the 2nd generation of their famous T1 headphones which uses innovative sound transducers with over 1.0 Tesla power. They produce almost twice the volume of conventional headphone models. As a result, we could notice that the sound is louder, cleaner, has less distortion and is more precise. The possible adverse effect on the brain due to the amount of magnetism being used. Sennheiser HD 800 audiophile headphones feels great to wear as you almost experience no weight at all. Although mostly made of plastic, they are reinforced by metal and sturdy. They are well designed with a quality of workmanship in place. On the downside, the ear cups are a bit large. Clarity and depth are splendid, but even when we turned up the volume to maximum, the overall sound was slight, not full. It might be that these headphones need an amp to sound perfect, but we have not been able to test them with it. Also, for the price they should be able to perform exquisitely without an amp too. 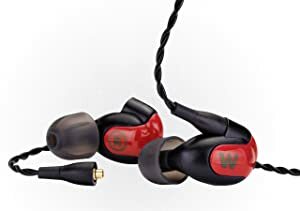 First of all, Westone W30 Triple Driver Earbuds are subtle and light, and we have found that it is easy to get a great seal in our ears; this creates a good isolation and a consistent, comfortable fit. We could listen to music for extended periods of time without fatigue. The bass does not pour over into the mids; it is rather tight and analytical. The sound is not very dynamic though, but the clarity is evident. The feeling we got is that each instrument occupies its own, well-defined place in the sound. The highs are exactly as they should be without sounding muffled or dark. The big minus is the cable. It has shown the signs of wear in short time we have used it. We tried to find out if the other users have had similar problems and discovered that it is a common complaint. As a result, one must be extra careful and make sure to store them properly. As soon as we have seen the Astell&Kern AKT8iE Beyerdynamic Tesla earbuds, we could tell that they are built to last. 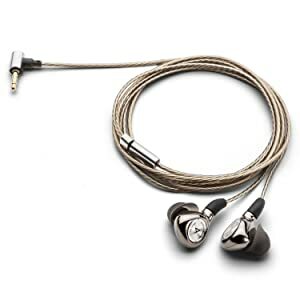 The design is very luxurious as the cables are silver plated and end with High Precision gold-plated MMCX connectors. The earbuds, without the cable, weigh just around 7 grams, and we could literally forget that we have them in our ears if not for the supersonic sound coming out of them. The sound reproduction is remarkable; the bass is deep. The quality is comparable to the Beyerdynamic T1 Tesla headphones, but, of course, earbuds are much more practical for the outdoor use. The only issue anyone could think of regarding these earphones is the price, which is more than high. However, the quality is undeniably delivered. Also, there is no option to answer the phone call, which might disappoint some users. First of all, we have noticed that these earbuds are the best-built ones we have ever tested. 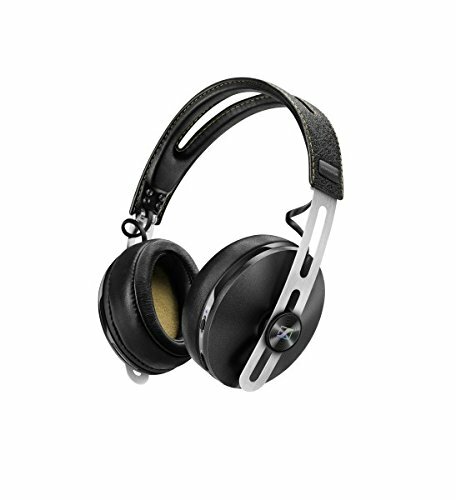 The AKG K3003i bodies are made of a single piece of stainless steel which account for reassuring weight and hardiness. On the other hand, for such an expensive pair of earbuds, we expected a replaceable cable; it seems solid, but nevertheless it would be great if option to substitute it would be available. On the plus side, the earbuds are so well designed that they never even started falling out. Moreover, the weight is well balanced, and they feel very light. The three filters included in the package, gray, white and black, all account for the different feel of the music, but offer the superb sound without any question. They provide the inline remote control which can come very handy at times as it provides the users with the functions of call control, volume and track selection. As accessories are quite sparse, we felt a bit disappointed on opening the box for the first time. Furthermore, the earphones themselves do not appear as luxurious and high-end as other models. The cable included seems a bit short too, and the upper part is fixed and cannot be replaced if needed. However, as people say, looks can be deceiving, and we have thereafter discovered that the technical aspects are just astonishing. The range of sound these single-driver earphones deliver is breathtaking; bass is deep but not overwhelming. Even without an amp, these earbuds sound great on any device. Earbuds fit snugly into ears and feel very lightweight, the sound is isolated, and you are the only one who knows what music you are listening to. They also fit quite firmly. The very unusual design might set some people off, but believe us these are one of the best audiophile earbuds on the market. With parts made of solid gold, they are both literally and figuratively worth as gold. They come with a range of accessories such as a case for safe keeping, adapters, two different length cables and many foam tips for the best fit possible. The cables seem durable, and we think that no replacement will ever be needed. We wore them for hours, and we could not feel any discomfort. The sound isolation is perfect; there is no sound leakage. Moreover, the sound is magical. The soundstage is flawless, the bass is perfectly presented, deep and very detailed. Every sound flows naturally, nothing feels heavy or overemphasized. Nothing is missing, and it might be the fullest sound we have ever heard, well worth the money and the reputation. For the first time, there is nothing we do not like. The Definitive Technology Symphony 1 Wireless Audiophile Headphones seem quite well built. The headband is made of metal, and they can expand by pulling it out, but you have to adjust them every time for a perfect fit. The ear pads are massive and although we accidentally banged them a few times we have not noticed any marks on the housing yet. They are very bulky, do not fold, and the carry case is way too big for anything but storage. They are able to hold the battery for 15 hours of active use, which is enough for every average user, but some headphones can last up to 30 hours, so their performance is far from perfect. The sound produced is clear, and there is a good instrument separation. The ANC (Active Noise Cancellation) cancels out the most of environmental noise. 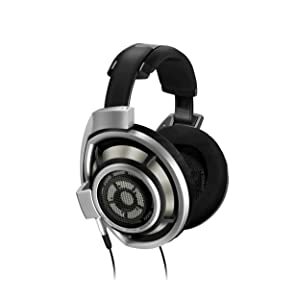 AKG K 845BT feature a classical design; they look very sturdy. The only complaint is that the plastic logo panels on the sides of the headphones show every single fingerprint. They fold almost flat and are therefore very portable, but they lack the carrying case. The sound of AKG K 845BT Headphones is very impressive for a Bluetooth audiophile headphones; it is almost studio-quality- vibrant and detailed. The bass is very clear and sharp, and the highs are not overwhelming. 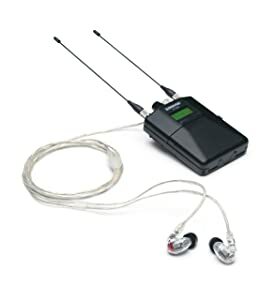 The package includes a USB charging cable and a 3.5mm audio cable which are very convenient if a battery dies or if you wish to connect to a non-Bluetooth device. The NFC (near-field communication) makes it possible to pair them with a compatible device by simply touching the two together. The first thing that we have noticed is the stylish design with a leather headband and tastefully molded ear cups on adaptable stainless-steel rails. They fold down very easily and are easy to pack and carry around. Furthermore, the ear pads fit perfectly over ears, and we have not felt the need to take them off. The quality of sound when the headphones are wired into a high fidelity source will send chills down your spine. However, when you listen to music wirelessly, the sound is notably worse; it feels over compressed and lacking the bass. The ANC function performs more than well, and you get to enjoy the full feel of the music you are listening to. The battery lasts for almost 22 hours of active use, and there is also an option to use the included cable. 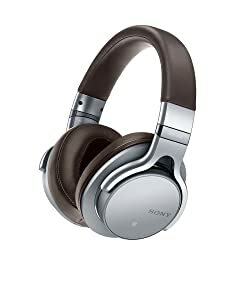 The chrome-colored design with soft and supportive leather ear pads looks very appealing. Sony MDR1ABT/S Audiophile headphones feel relatively lightweight too. They fold flat and are easily stored. On the downside, we felt a bit of pressure on our ears after wearing them for some time. The most surprising fault that is certainly important for many users who own iPhone 6 is that the volume control does not work when the two are paired. If it is any conciliation, other functions, such as forward, pause, and play work flawlessly. Sound quality is exceptional. Certainly, one of the best the wireless audiophile headphones can provide. Bluetooth performance is also elevated, and there is no interference. The battery life is 30 hours of active use, and it is so far the best among the competition. 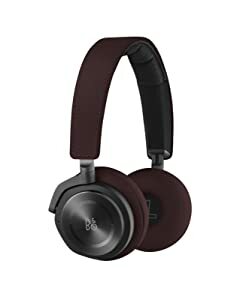 When we saw the B&O PLAY headphones, we unanimously agreed that they ooze style and class. We have chosen the classic black color, but there are few others you can choose from. They are not bulky, and the leather ear pad is not massive but rather feels soft and gentle on ears due to the memory foam cushioning. The sound fidelity is superb, especially for the wireless headphones. This is due to the Bluetooth 4.0 and aptX compression, which are the best developed so far. Noise reduction is almost perfect. On the negative side, the 14 hours of battery life with Bluetooth and noise-canceling turned on is almost below average battery performance. For such a high price we have expected more. In the category of audiophile headphones, the winner is Grado Professional Series PS500e. Their affordable quality is hard to bit and you should not hesitate to buy them. The second category houses an overall winner – Shure SE846-CL Sound Isolating Audiophile Earbuds. As we already stated, they are flawless, the best ones we have tested so far. The category of the wireless audiophile headphones is the most balanced one. However, as we must pronounce the winner, we will give the slight advantage to Beoplay H8. These are the three best audiophile headphones currently on the market, but you will not make a mistake if you purchase any of the fifteen audiophile headphones reviewed. They are crème de la crème of audiophile technology, so be sure to check them all out and choose and buy the ones that suit your personal needs the most. Which headphones are your favorite? Let us know in the comments below!